Sunday, May 17, 2015, Shows: 5 p.m. & 7 p.m.
With an ensemble of phenomenal musicians, Cuban/Venezuelan pianist César Orozco sets the stage on fire with exuberant Latin rhythms. Join him as he performs music from the award-winning recording Orozcojam and previews tunes from his upcoming album No Limits for Tumbao. Orozco fuses jazz with Cuban and Venezuelan musical styles in unexpected ways that fans in North and South America find irresistible. Band members include Rodner Padilla on Electric Bass, Pablo Bencid on Drums, Francisco Vielma on Percussion, and Antonio Orta on Soprano and Tenor Sax. Born in Cuba in 1980, Orozco moved to Venezuela in 1998. He has toured extensively and performed and recorded with numerous international artists. He moved to the States in 2012 to complete a Graduate Performance Diploma (GPD) in jazz piano at Peabody Institute. He also holds a degree in violin performance and ensemble conducting from the National School of Arts in Havana, Cuba. Orozco has been a guest artist on more than 50 recordings and produced two other albums with César Orozco & Kamarata Jazz: Son Con Pajarillo (2007) and Orozcojam (2010). The latter received four nominations and was awarded Best Vocal-Instrumental Album at Cubadisco 2012, the most important event of the Cuban recording industry. 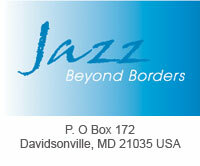 This performance is presented by Jazz Beyond Borders. The concert takes place at An die Musik Live, 409 N. Charles Street, Baltimore, MD 21201. This venue regularly hosts concerts of the finest in jazz, classical, and world music in an intimate upstairs concert room furnished with comfortable armchairs. Patrons may purchase wine, beer and soft drinks before and between performances. Tickets may be ordered at www.andiemusiklive.com (via InstantSeats.com).